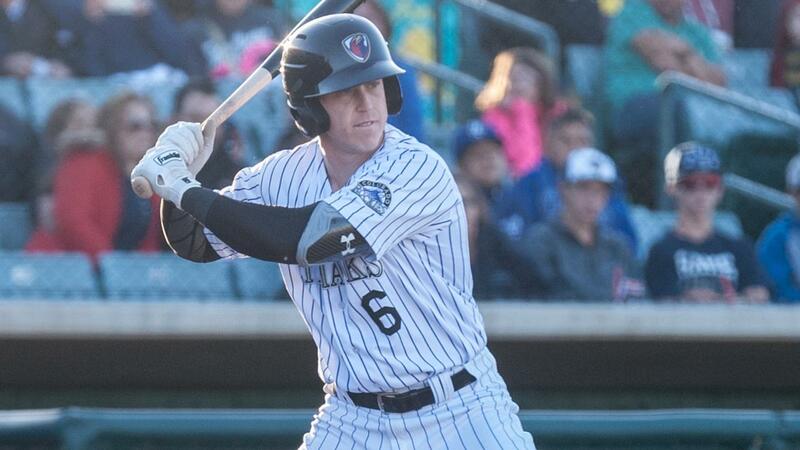 LANCASTER, Calif. - The Lancaster JetHawks climbed out of an early hole, but it was not enough Thursday as they dropped game two of the South Division Finals, 6-5, to Rancho Cucamonga at The Hangar. The best-of-five series is tied, 1-1. Rancho Cucamonga jumped out to a four-run lead early. The Quakes scored three in the first inning and added another in the second. Lancaster answered, scoring the next five funs to take the lead in the fifth inning. Alan Trejo led off the frame with a solo home run. Later, Brian Serven smashed a two-run double that put the JetHawks on top, 5-4. The lead was short-lived. Rancho tied the game in the top of the sixth on a Carlos Rincon home run. Later in the inning, Nick Yarnall put the Quakes in front, 6-5, with an RBI single. Both runs were charged to Antonio Santos (0-1), who took the loss. Logan Salow (1-0) earned the win for Rancho, but it was Parker Curry who stole the show. Curry pitched four perfect innings, retiring all 12 batters he faced to close it out. Lancaster came close to tying things up in the bottom of the seventh. Colton Welker hit a deep drive to right field, but Cody Thomas made a leaping catch at the wall to rob Welker of a home run. The series is tied at a game apiece after two games at The Hangar. The rest of the series will be played in Rancho Cucamonga, where the JetHawks went just 2-11 in the regular season. Game three of the South Division Finals is Friday night. Matt Dennis gets the start for Lancaster against Rancho's Edwin Uceta. First pitch from LoanMart Field is 7:05 pm.